Vent-Axia LoWatt fans feature LoWatt long life DC energy saving motors that last 5 times longer than conventional motors, whilst delivering up to 80% energy savings. The extended life of LoWatt fans is due to the use of a new generation of high quality electronically controlled ball-bearing motors especially developed for this range. The motors are perfectly designed for the wet conditions of utility rooms and kitchens, extracting stale, moisture-laden air quietly and efficiently. 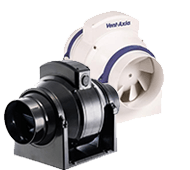 Vent-Axia LoWatt fans have instant shutters using patented Integral Magnetronic Control (IMC) technology ensuring that the fan is only open to the outside world when it is working - with no extra power used to operate the shutter. 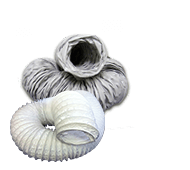 This means that the only air to escape is the air extracted. When the fan stops the shutter closes firmly, until the fan operates again. The range is suitable for installation in panels, walls or windows using the kits available. LoWatt fans are quick and simple to fit using reversible grommets and easy-wire terminals, and are suitable for wall or ceiling mounting at any angle. 150mm telescopic wall kits are available with a white or brown outside grille. 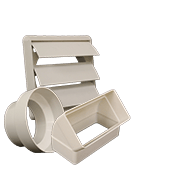 The kit is supplied with a telescopic wall sleeve to fit walls 225-360mm thick. Window fitting kits are available for use with all LoWatt 150mm models through single or double glazed windows up to 40mm thick. The range meets the requirements of the current Building Regulations Document F for the ventilation of utility rooms 30l/s and for kitchens 60l/s. LoWatt U/KP (Shutter/Pullcord) - Ultra long life DC energy saving motor. Patented instant electric opening shutter. Controlled with integral power supply with pullcord On/Off switch. LoWatt U/KT (Shutter/Timer) - Ultra long life DC energy saving motor. Patented instant electric opening shutter. Controlled with integral power supply with electronic adjustable overrun timer (5-25 minutes). LoWatt U/KH (Shutter/Humidistat) - Ultra long life DC energy saving motor. Patented instant electric opening shutter. Controlled with integral power supply with pullcord override switch and adjustable humidity sensor (60-95% RH). Output is for all the extract airflow, dependant on setting. 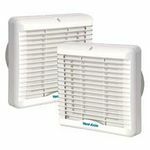 For even more energy efficiency the Vent-Axia LoWatt range is available with Integral Timer or integral Humidity Sensor. 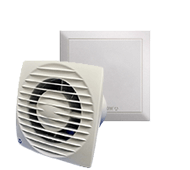 Remote PIR sensors are available which operate the fan only when required. Easy wire terminals, for simple installation, offers the choice of either kitchen or utility room performance. NOTE: The Transformer is an integral part of the fan which MUST NOT be installed as a SELV product. The fan case and grille shall be made from ABS plastic and have an axial impeller. The fan should be double insulated to meet IEE regulations and meet the Building Regulation (Document F) requirements of 30 litres a second for utilities and 60 litres a second for kitchens. The electronically controlled motor is fitted with long life ball bearings to provide an expected 50,000 hour running life and a Standard Thermal Overload Protection (S.T.O.P.). The motor should be insulated to Class III (-25°C to +40°C) and is to conform to BS EN 60335-2-80. Operation via pullcord, external switch with overrun timer or humidity control/pullcord. The fan is to be wall mounted using a wall kit 14 09 02A (white) or 14 09 03A (Brown), or window mounted using a window kit 14 09 01A (white). Long life LoWatt motor lasts 5 times longer than conventional motors. 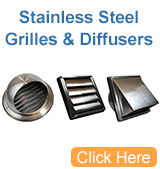 Up to 80% energy saving. 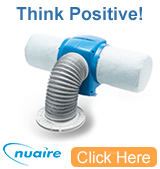 Meets current building regulations when installed. Unique patented instant electric opening shutter with positive closure. 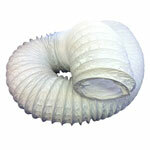 • LoWatt fans are suitable for installation in windows, walls, panels or ceilings. 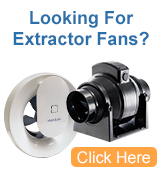 • LoWatt fans can be installed at any angle. • On board power supply for easy installation. • Fitted with instant automatic shutter.